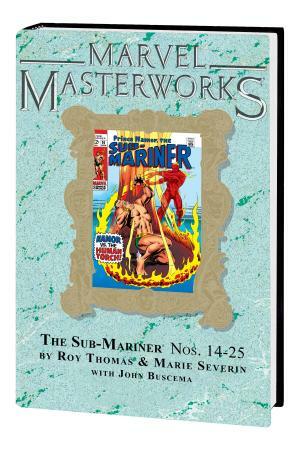 There's no mariner like the Sub-Mariner as you're about to see! 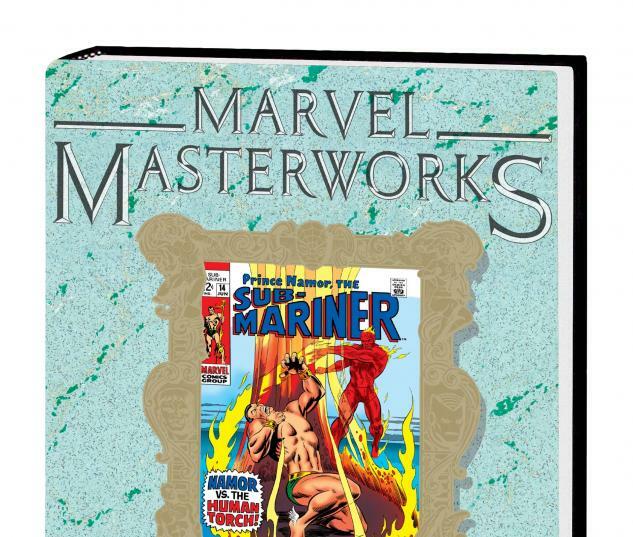 Yes, Prince Namor is back for another dip with the Marvel Masterworks. Featuring scripts Roy Thomas and art by Marie Severin-with a little help from the brothers Buscema-comics' first anti-hero embarks upon 12 action-packed adventures in this classic collection! It all starts off with the return of a legend from comics' Golden Age-the Human Torch, or is he? Then a triumvirate of villains pits the Sub-Mariner against Dragon Man in a knuckle-buster that'll rattle your fillings. The drama ratchets up another notch when the alien Stalker robs Namor of his ability to fly and to breathe underwater. Stranded on land, the Avenging Son is public enemy #1 and even Dr. Doom tries for the target on his back. You can't threaten a prince without calling down the wrath of his dominion-and you know what that means. Invasion! After Atlantis rocks NYC, Subby ventures on an otherworldly adventure with Dr. Strange, and then faces an all-out attack by the vicious Tiger Shark and Orca. They're true Marvel classics, most of which have never been collected before, so need we say more? 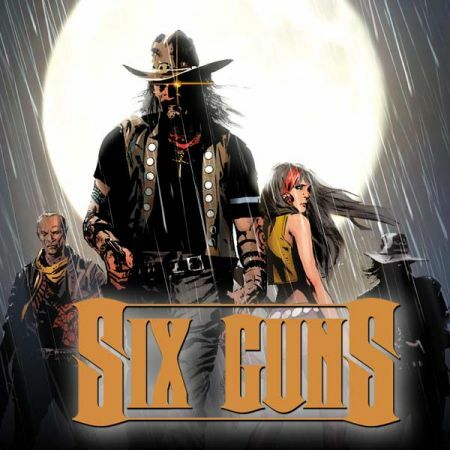 Reserve that copy today, True Believer! 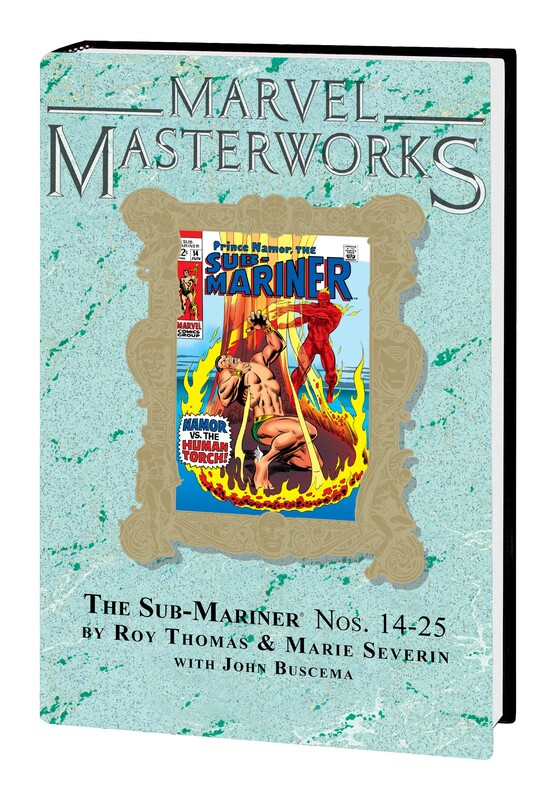 Collecting THE SUB-MARINER #14-25.